Populist rhetoric regarding a “crisis in masculinity” has seen concerns raised about the twinned issues of boys and reading, which has culminated in a call for more “books for boys” in the fields of children’s and young adult literature. 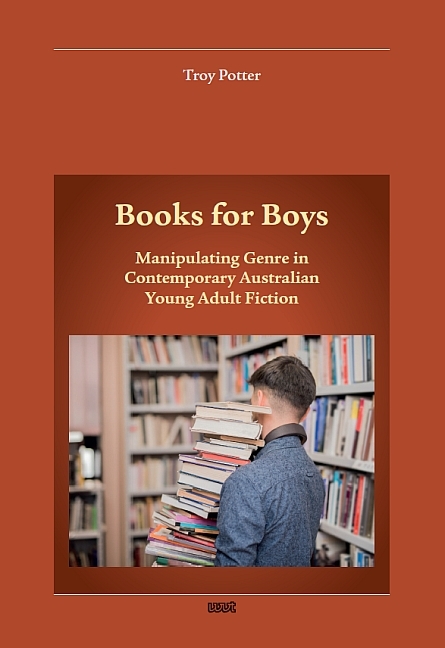 Books for Boys examines the ways masculinity is both represented in Australian young adult literature and representative of wider gender discourses. Focusing on texts produced since the 1990s, and adopting a generic approach, Troy Potter shows how genre is implicated in books for boys to respond to and shape public perceptions of masculinity. While some novels may rethink and reconfigure genre and gender, the author demonstrates through close readings that the majority of books for boys reinscribe traditional constructions of both in order to model “appropriate” gendered practices.